This functions as our load balancer and traffic cop directing API and incoming requests to the correct component. As a reverse proxy and static content server. Used to be Apache, but configs, robustness and performance of nginx - obviously made sense. 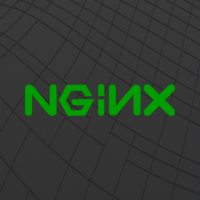 Nginx is the webserver we use in front of the Unicorn application servers. We have multiple Unicorn workers for every application (depending on their performance requirements), and Nginx basically functions as a load balancer. 어플리케이션, 백엔드 서버는 모두 nginx 를 통해 reverse proxying 되어 서비스 됩니다. nginx 는 빠르고, 안정적이고, 매우 간편합니다. Our webserver of choice. Fast, accurate, powerful, rock solid.